In search of the best breakfast in Sydney, we decided to try the Armory Wharf Cafe. I have stumbled upon this cafe by the Parramatta River inside Olympic Park/Bicentennial Park previously on a long bike ride – many cyclists stop here for refreshment, whether it be iced chocolates, hot chocolates, gatorades, water, whatever takes your fancy. It seemed so relaxing with the water shimmering and the cool breeze coming through the open air cafe, it was perfect for a brunch on a summer’s day. Of course we had to try the big breakfast. Two eggs poached, roasted tomatoes, sauteed field mushrooms, bacon, and a jumbo slice of toast. I found the toast was a bit wet from the poached eggs, so maybe some resting aside would have done it good. But the mushrooms were certainly meaty and delicious. 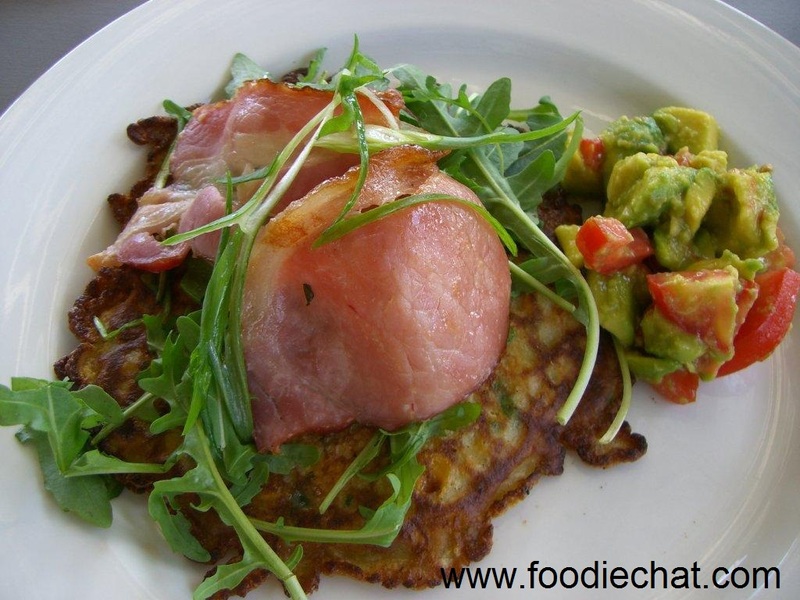 We also tried the corn cakes with bacon, rocket and avocado salsa. They also do a smoked salmon one. Unfortunately, the bacon was cold. But the salsa was nice, and the corn cakes were flavoursome and crispy on the edges. I asked the waiter whether they were make “frittery” or “pancakey” and he told me frittery, but in my mind, the flatness makes them more pancakey, and my favourite corn fritters are still at Zenja Cafe or Bills. But these were really nice corn pancakes! 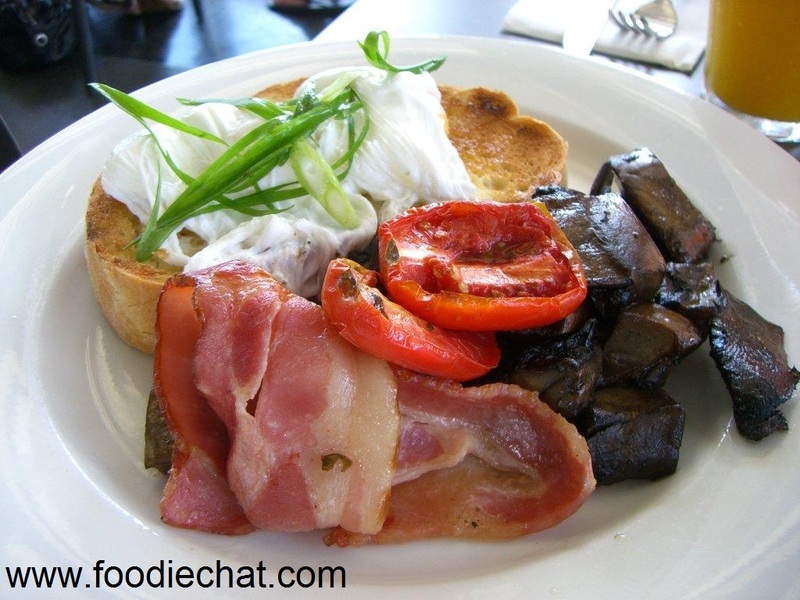 You are currently browsing the FoodieChat weblog archives for March, 2010.